Spring looks set to be the time for flowers and chocolates. This month the sun starts to shine for longer and nature sends out signals for the early flowers to put on their display. Easter is just around the corner and the traditional gifts associated with this occasion are flowers and chocolates, both of which can be hazardous to our four-legged friends. Some of the most popular flowers bought as gifts can have disastrous consequences if ingested by pets. 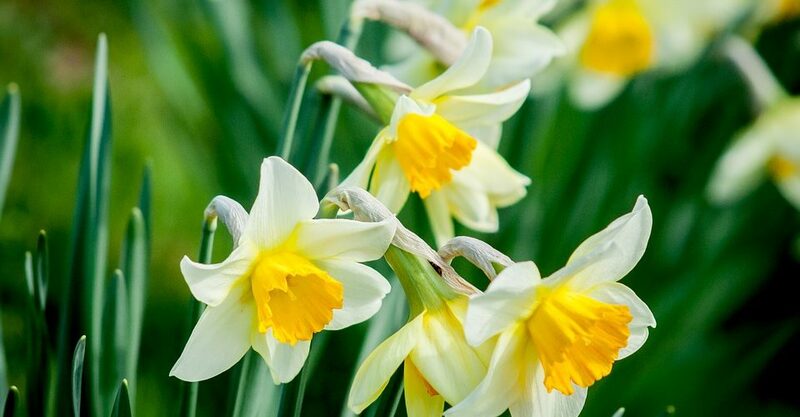 Nothing indicates spring more than Daffodils but did you know the flowers contain lycorine, an alkaloid with strong emetic properties which can cause severe vomiting, diarrhoea, abdominal pain, cardiac arrhythmias and respiratory depression in cats. The outer layers of the bulbs, if ingested can cause severe tissue irritation. Daffodil bulbs can also prove fatal to dogs if ingested. Lilies can be fatal to cats. Peace lilies, Peruvian Lilies and Calla lilies contain oxalate crystals which can cause tissue irritation to the mouth but Tiger, Day, Asiatic, Japanese and Easter lilies are highly toxic. Even ingesting very small amounts can result in severe kidney failure. Cats who eat Lily of the Valley can suffer vomiting, diarrhoea, a drop in heart rate, severe cardiac arrhythmias and possible seizures and in dogs ingestion can result in nausea and vomiting. It is well documented that chocolate can prove fatal to dogs. The darker the chocolate, the higher the concentration of Theobromine. Even small amounts can cause agitation, hyperexcitability, tremors, convulsions and heart disturbances. Chocolate is also poisonous to cats but cats are far less likely to ingest chocolate as they can’t taste sweetness.